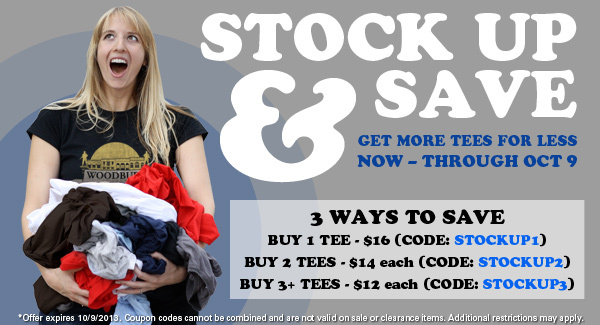 TShirt Laundry: Stock up &amp; Save! - Blog @ That Awesome Shirt! TShirt Laundry: Stock up & Save! We're getting ready for the holiday shopping season a bit early with our Stock Up and Save Sale. With this sale, everyone gets more tees for less. Now through October 9, the more you buy, the more you save at Tshirt Laundry. Expires 9th of October, 2013.